The Small Biodegradable Sand Urns are made from real beach sand and gelatin, materials that are safe for our environment. Each urn is hand crafted by professional artisans who put their energy and love into every urn. 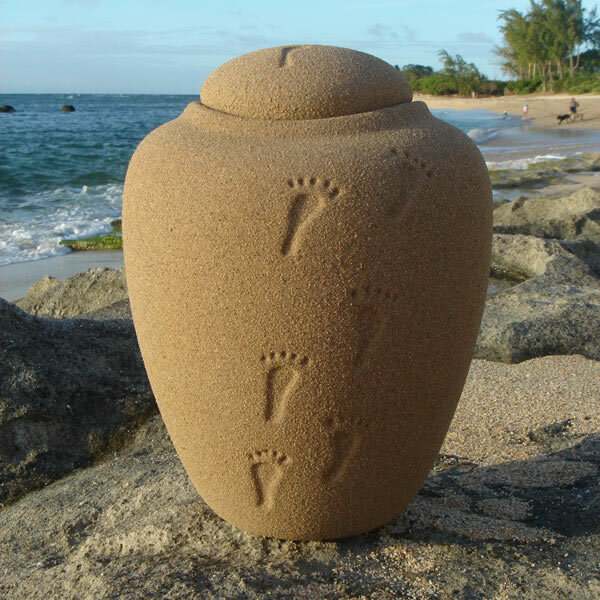 To see how beautiful this urn is in a natural coastal setting, click on Detailed Images.